Compact cars have been a favorite with many vehicle owners for a long time, and the Hyundai Elantra is another budget buy in this segment. A small car with some quality features, the Elantra is a premium upscale family car that’s affordable, comfortable, and a dream to drive. The 2017 Hyundai Elantra has been redesigned and revamped to make a worthy competitor to other compact cars in this segment. The new Elantra looks fresh and chic, with three new engines, and a bevy of impressive features. Stylish on the outside and more elegant inside, the Elantra is power packed and makes quite a statement. The 2017 model gets an improved ride quality, making it more comfortable and smooth for daily driving. The engines include a new base 2.0-liter engine, a turbocharged 1.4-liter engine, and a sporty 1.6-liter turbocharged four-cylinder for higher speed and performance. Even though acceleration isn’t on a par with the competitors, it doesn’t seem much of a disappointment, given the cabin quietness and the tech features. The entry-level Elantra SE doesn’t boast of a lot of high-end features, but with the Popular Equipment package, you get to add cooler tech upgrades to the vehicle. The package includes Apple CarPlay and Android Auto, satellite radio, and a rearview camera. If you aren’t happy with just that, you can always upgrade to the Value Edition that offers blind-spot monitoring with rear cross-traffic alert, heated front seats, a leather-wrapped steering wheel, and dual-zone automatic climate control. The highest selling point of the Elantra is definitely its interiors. It is stylish, spacious, and comfortable, and has ample room for storage needs. Even though the primary material isn’t leather, the cloth doesn’t look or feel cheap, and the hard plastics are well built and attractive too. Cargo space, child safety, visibility, and ease-of-use have been well thought out. The entry-level Elantra SE comes with a few standard features. These include fold-flat rear seats, Bluetooth audio and cruise controls on steering wheel, alarm, tire pressure warning, rear bench seats, trip computer, auxiliary audio inputs, stability control, and USB inputs. 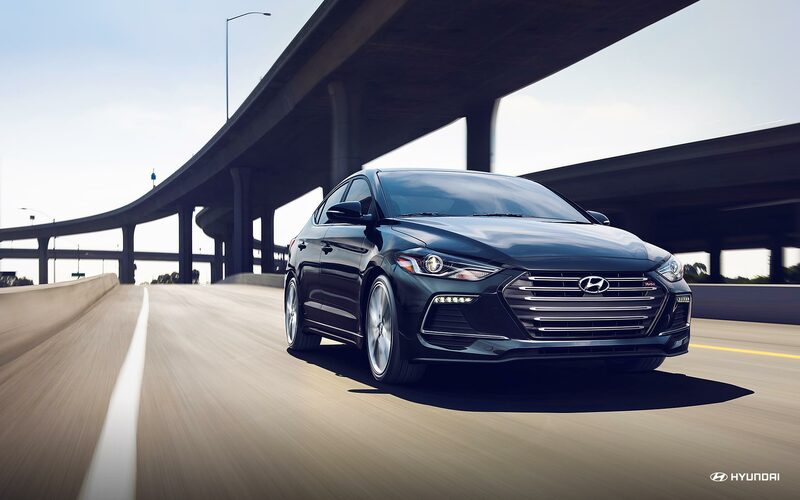 Even though are better cars in this segment, the Hyundai Elantra steals the show with its driving comfort, cabin quietness, and classy interiors. If you are on the lookout for a budget car that gives off a premium vibe, the Hyundai Elantra, with its tech features and upgrades at a minimal cost, is definitely a pick you won’t regret. Let New York Autobrokers serving the Bay Shore and Lindenhurst area use their 20 years of experience to get you the best lease payments or price on any car make or model of your choice. Call us at 631-446-4455 for more information!